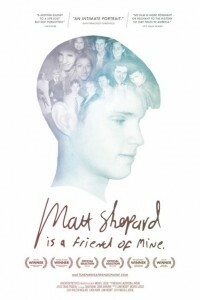 Matt Shepard is a Friend of Mine is a big screen documentary about the late Matthew Shepard. On October 7, 1998, University of Wyoming student Matthew Shepard was brutally beaten, tied to a fence and left to die because he was gay. Years later, Michele Josue, a close friend of Matt’s, revisits the shocking case with never-before-seen photos and rare video footage, as Matt’s all-too-brief life is remembered through the vivid testimonies of those whose lives he touched, from the friends and family who knew him best to the bartender who saw him on the night of the attack. New revelations emerge in one of the most notorious hate crimes in US history, leading to a searing, poignant, and multi-layered biographical and sociological portrait. In the end, the notion of forgiveness—embodied in the moving and courageous final act of Matt’s parents—takes on truly heroic proportions. Watch the Matt Shepard is a Friend of Mine trailer.